Choose from Thousands of Products! Our imprinted promotional pens, pencils, and stationery supplies can build an awareness of your school, organization, location, or event for months to come. Geddes Imprint Services can turn any product into a promotional powerhouses. Add your school or organization's name, logo, mascot, slogan or message to any of our imprintable products. 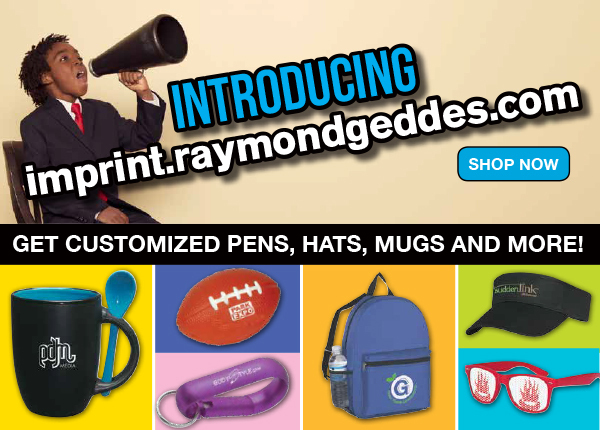 We've just launched our new imprinting site where you can get customized pens, drinkware, bags and more!